A ball-shaped artificial intelligence robot nicknamed the “flying brain” trained to follow and interact with a German astronaut has blasted off to the International Space Station aboard SpaceX´s Dragon cargo ship. A spare hand for the station´s robotic arm, an experiment to measure plant stress and a study of a new cancer treatment were also on board as the Falcon 9 rocket lifted off from Cape Canaveral, Florida at 5:42 am (0942 GMT). “We have ignition and liftoff! The Falcon 9 rocket powers the Dragon spacecraft toward the International Space Station,” said a NASA commentator as the white rocket fired its engines and lit up the skies on a dark, Florida morning. The unmanned Dragon capsule carried 5,900 pounds (2,700 kilograms) on its 15th supply mission to the orbiting lab, as part of a $1.6 billion contract with NASA. Both the capsule and the rocket have flown before. The Dragon sent cargo to space in 2016 and the Falcon blasted off a NASA satellite two months ago. 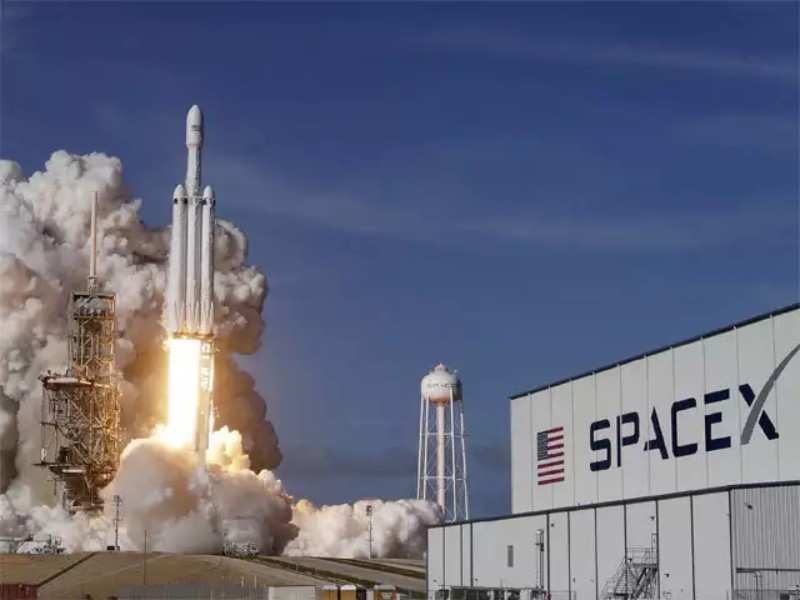 The California-based aerospace company headed by Elon Musk is intent on re-using rocket parts and spacecraft to lower the cost of spaceflight. About 10 minutes into the flight, SpaceX confirmed that the Dragon had successfully deployed from the rocket´s second stage and was in a “good orbit.” The capsule is scheduled to reach the station on July 2. A key piece of cargo is a basketball-sized device called CIMON, or Crew Interactive MObile CompanioN. It has been described as a “flying brain” by Manfred Jaumann, head of microgravity payloads at Airbus. 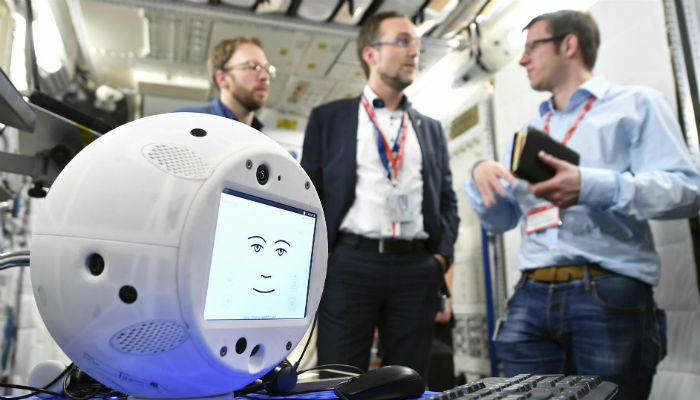 CIMON´s activation will mark “a historical moment,” becoming the first robot of its kind to interact with people in space, said Christian Karrasch, CIMON project manager at the German Aerospace Center (DLR), during a NASA press briefing Thursday. CIMON has been trained to recognize the voice and face of Alexander Gerst, 42, a geophysicist with the European Space Agency. When Gerst calls to CIMON, the floating robot will acoustically sense where Gerst is calling from, orient itself that way, and zoom over. Hovering at the astronauts´ eye level, its front camera can detect if the person in front of it is indeed Gerst, or someone else. It is also designed to interpret his emotional state. CIMON will be powered by more than a dozen propellers to help it zip around and avoid bumping into things inside the Columbus module of the space lab. “This is designed to work in English. 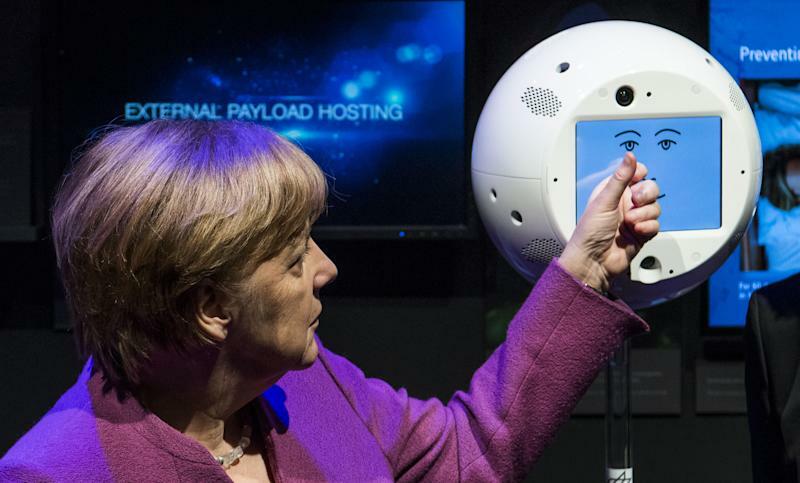 It understands Alexander,” said Bret Greenstein, global vice president of Watson Internet of Things Offerings at IBM. “It will come to him when he speaks.” All six crew members at the orbiting outpost can speak to CIMON, though it has been taught to work best with Gerst. The goal for this flight is mainly to demonstrate the technology works. The robot should be able to guide Gerst through various science procedures, showing videos or pictures as needed. Gerst can also ask the robot questions beyond the simple procedure at hand. CIMON is equipped with a microphone on back, an infrared camera on the front, two batteries, and perhaps most importantly, an “offline” button. Once toggled to “offline,” Gerst can be sure nothing he is saying is streamed down to the IBM server on Earth. Once back on, voice recordings are activated again. Other experiments on board the Dragon include a new robotic hand, or latching end effector, for the space station´s Canadian-made robotic arm. It will serve as a spare at the station. Astronauts repaired the arm´s current hand — which was growing arthritic after 17 years of use — during a series of spacewalks in recent months. Also among the cargo is a project to measure water stress in plants on Earth and how certain regions may respond to climate change.